A personal assistant , able to give an answer to almost any question, who plans the day, points the alarm clock , adjusts the lighting of the apartment and shoots the right playlist at the right time. This, and much more, is what a smart speaker can do . Usually a small object connected with the wi-fi and hi-tech devices of the house . So far the talents, now the painful notes: do not cook, do not iron, do not clean and can not make coffee. At least for now. It is very likely that, even if it was not yet present in your homes, you have already seen it. Because the market in this specific sector is constantly expanding . According to data provided by the analysts of Canalys, from April to June world sales have almost tripled , from 5.8 to 16.8 million units ( + 187% on an annual basis ). Going into detail, the market is driven by technology giants. Just think that, according to data from Canalys, last June Google recorded a growth of 449% compared to sales in the second quarter of 2017. This powerful growth led Big G to obtain a market share of 32.3% (a year before, it was 16.9%). A trend that has taken Amazon out of the first position, which it held twelve months ago with 82.3% of the emerging smart speaker market , before “plunging” to a 24.5% stake, selling Echo 4.1 million . In the third and fourth positions there are two Chinese companies, Alibaba and Xiaomi , which have sold 3 million and 2 million speakers respectively (17.7% and 12.2% of the market). 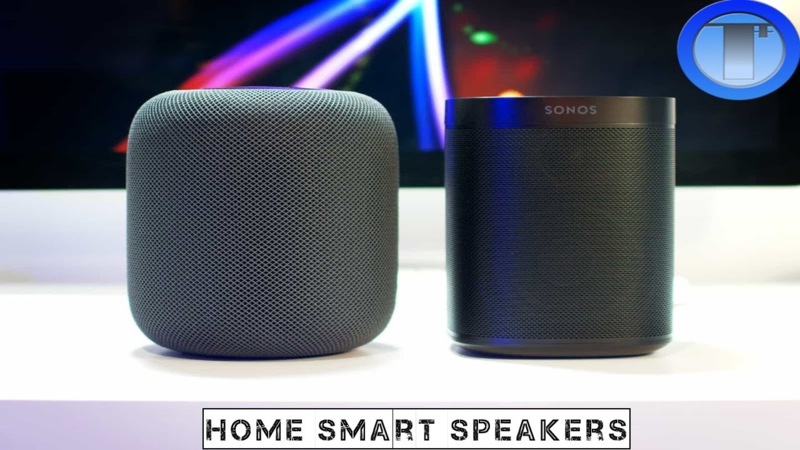 But the smart speakers of Google, Home and Home mini , were launched in Italy only in March 2018. Password, ” Ok Google ” and activates a world of interactive possibilities to be discovered. Google Home is probably the top currently available on the market. The conversation with the device is fluid and online searches are optimized, as is natural to imagine, practically perfect. Home mini , basically, offers the same features as the larger version . Change the shape, round and smaller, in addition to the price: decidedly lower. The most marked difference is that concerning the audio part, it is advisable to integrate it with other speakers if you want to listen to music. Just in these days, however, Amazon has led to the counterattack landing in the Italian market with Alexa ( the world’s first smart speaker , launched in 2014), the voice assistant of the ecommerce giant, in fact, now “speaks” our language and aims to conquer Italy. Amazon Echo is the flagship of the range, with modern design and extraordinary usability. It has seven deactivable microphones that accurately understand where the interlocutor is talking, is the Google Home competitor . But that’s not all, there are also: Echo Dot , a more compact and portable version, like Google mini , suitable for the smaller rooms of the house; Echo Sub , a wireless woofer designed to create stereo systems with other Echo compatible devices ; Echo Plus , “specialized” in the control of compatible smart appliances. Echo Spot , instead, in addition to speakers and microphones, is based on a circular display and a video camera. The screen displays the answers of the voice assistant, integrating them with graphic information, but can also be used for viewing content or video calls.